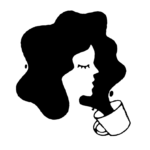 Beauty trends took an amazingly colorful turn in 2016, and we loved it all — from bright blue eyeliner to succulent-colored hair. 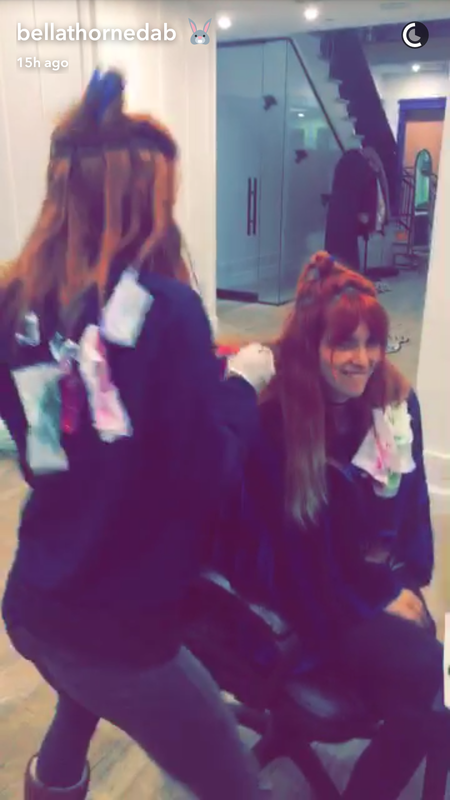 So we were thrilled when Bella Thorne revealed her new rainbow hair on Snapchat last night. Because you guys, it’s freaking spectacular. Rocking out to Joan Jett and the Blackhearts’ “Bad Reputation” with her sister, Dani Thorne, and another friend, the trio took turns dyeing each other’s hair an array of delicious shades, featuring strands of green, purple, and pink. 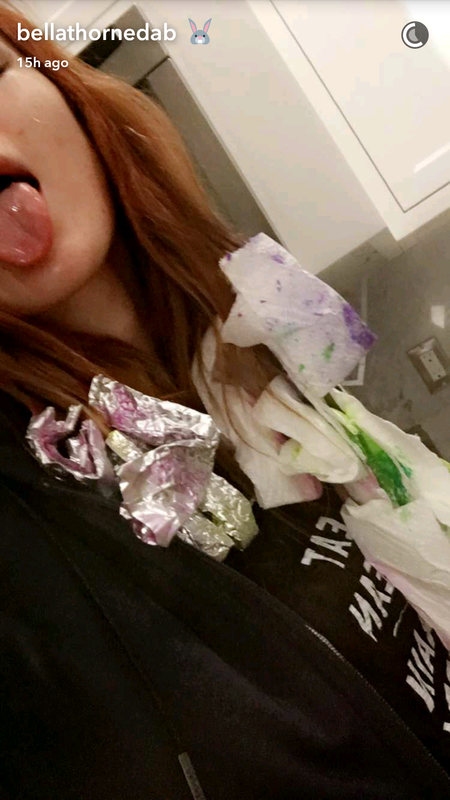 Bella shared the whole process on Snapchat, starting with the mixing of the Manic Panic colors (hello, ’90s throwback!) 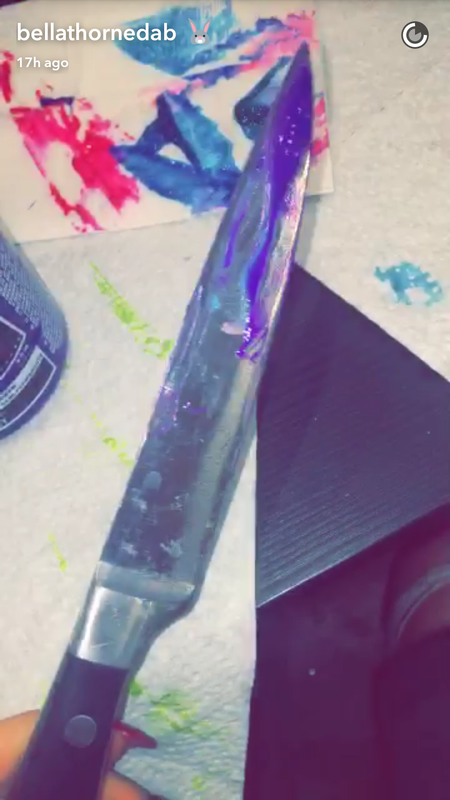 and this slightly creepy image of a knife. That’s one way to do it, Bells! Then it was time for Bella’s color to sit. And for Dani to take her turn! That was a sneak peek! Here’s the full look…SO. GORGE. We love that Bella is always up for taking fashion and beauty risks. 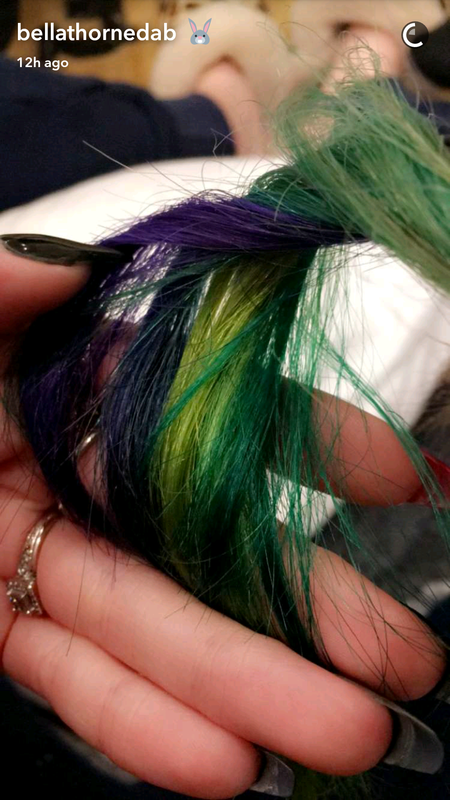 Just last month her hair had neon green tips and looked incredible, especially when she covered it in glitter for the American Music Awards. We think her rainbow look is the perfect way to kick off 2017, and we can’t wait to see what she has in store for us next!